Iran said Wednesday it would resume uranium enrichment and warned it may quit cooperating with the International Atomic Energy Agency, which it accused of kowtowing to the United States at a crucial meeting in Vienna. Separately, Defense Minister Ali Shamkhani told reporters the Iranian military had built nuclear centrifuges for civilian use -- the first time Iran has acknowledged its military was involved in the country's nuclear program. In Vienna, the 35-nation board of governors of the International Atomic Energy Agency prepared for Thursday's debate on Iran's declared commitment to full transparency on its nuclear program. The United States, which suspects Iran is building nuclear arms, wants a draft resolution on Iran to take a tough line because of evidence of secrecy. But the Europeans want to acknowledge that Iran has made substantial, if not complete, steps toward openness. The draft that was obtained by The Associated Press said the agency noted "with the most serious concern" that Iran's declarations "did not amount to the correct, complete and final picture of Iran's past and present nuclear program." But it also praised Iran for signing an agreement that granted a free hand to IAEA inspectors. Iran regarded the draft unsatisfactory. Iran's chief delegate to the IAEA, Pirouz Hosseini, told reporters outside the board of governors meeting that the United States was pressurizing the Europeans to harden the resolution. "We have never been involved in any nuclear weapons program ... and the Americans don't want to accept the fact," Hosseini said. In Tehran, Foreign Minister Kamal Kharrazi accused the world body of failing to reciprocate. "We told (IAEA) that cooperation should be bilateral. We take steps and expect the other side to take steps. It can't go one-sided," Kharrazi said. Kharrazi warned Britain, France and Germany, whose foreign ministers visited Tehran last year to discuss the nuclear issue, that Iran will stop cooperating with them if they fail to resist U.S. pressure at the Vienna meeting. "We recommend that the three European countries remain committed to their obligations (toward Tehran) and resist U.S. pressure, if they want the project of cooperation between Iran and them to lead to results," Kharrazi said. "Cooperation is a two-way street." Kharrazi said Iran had a "legitimate right to enrich uranium" as fuel for the nuclear reactor it is building to generate electrical power. "We suspended uranium enrichment voluntarily and temporarily. Later, when our relations with the IAEA return to normal, we will definitely resume (uranium) enrichment," Kharrazi said. But the head of IAEA, Mohamed ElBaradei, warned Wednesday that if Iran went back on last year's suspension of enrichment, it would hurt its campaign to convince the world that its nuclear intentions were peaceful. "I think suspension is ... a good confidence-building measure, and Iran needs to do everything possible right now to create the confidence required," ElBaradei said in Vienna. One of the reasons for the recent IAEA inspections of Iran's nuclear facilities was last year's discovery of undeclared uranium enrichment. Kharrazi accused the IAEA of giving in to U.S. pressure. "Unfortunately, the agency is sometimes influenced by the United States, while it should maintain its technical and professional identity," Kharrazi said. Defense Minister Shamkhani said the military industries had produced P-1 centrifuges, which are used for low-grade enrichment, but not P-2 models that are used for weapons-grade enriched uranium. "We have produced P-1, not P-2, contrary to U.S. allegations," Shamkhani said. "It's natural in the world that defense industries produce civilian parts," Shamkhani said, adding the industries also produce televisions and parts for civilian planes and vehicles. 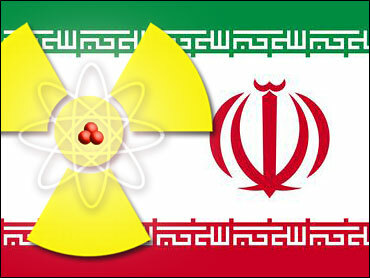 The IAEA has questioned Iran on blueprints for the more advanced P-2 centrifuges. Iran responded that the blueprints never got beyond the research stage. A leading Iranian hard-line editor, Hossein Shariatmadari, urged the government Wednesday to give the IAEA an ultimatum. "Iran has to set a deadline," Shariatmadari wrote in the newspaper Kayhan. "If Iran's nuclear dossier is not removed from the agency's agenda, Iran must not only stop allowing unfettered inspections of its nuclear facilities, it must resume uranium enrichment and, possibly, even withdraw from the Nuclear Nonproliferation Treaty." The treaty commits its members to peaceful use of nuclear power.